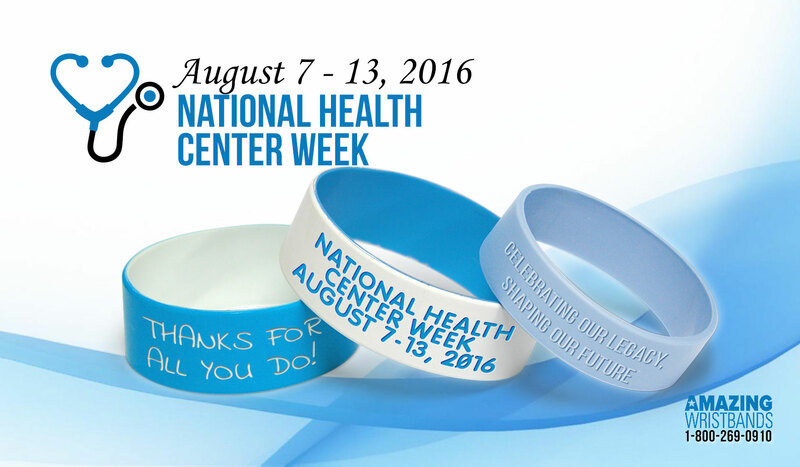 National Health Center Week is August 7th- 13th, 2016. Customized National Health Center Week wristbands can help promote healthy living. According to the official website of National Health Center Week, this week of awareness has been celebrated for more than 30 years to recognize the services and contributions of Community, Migrant, Homeless and Public Housing Health Centers. While there are countless reasons to celebrate America’s Health Centers, among the most important and unique is their long success in providing access to affordable, high quality, cost effective health care to medically vulnerable and under-served people throughout the United States. Choose fun colors or a combination of colors, such as swirl, segmented, neon, glow-in-the-dark, or glitter. Order thin quarter-inch wristbands or thick one-inch bands to really make your spirit wristbands stand out. Add a glittery or glow-in-the-dark effect. Instead of standard wristbands, put your motivational message on slap bands that snap to your wrist. All wristbands from us are made 100% latex free so they are comfortable, latex-free, and non-allergenic. We are the leading online supplier personalized silicone bracelets. 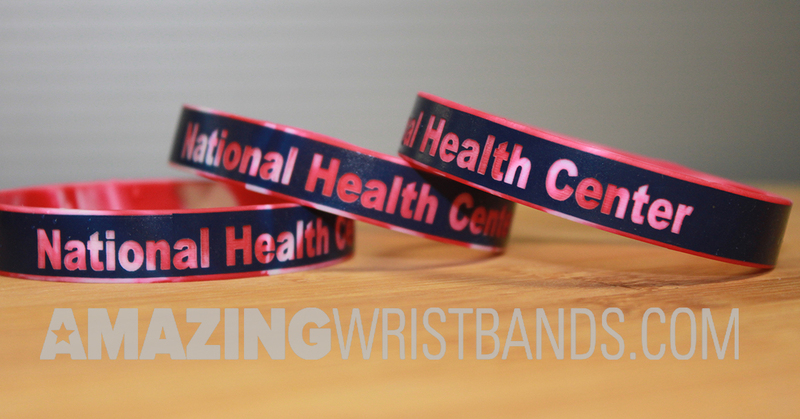 We offer a wide variety of types and colors to help your custom bands stand out and make a difference. In addition to standard wristbands, AmazingWristbands.com also offers slap bands that “snap” to a person’s wrist, as well as half-inch bands, thicker one-inch bands, adjustable bands, USB bands, silicone rings and silicone key chains.